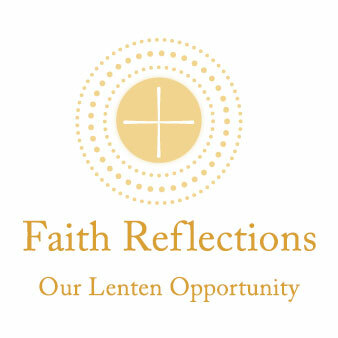 Lent is the perfect time to invite the Holy Spirit into our hearts to help us see and accept our opportunities for growth. Change, even in small aspects of our life, can be a bit intimidating sometimes . . . or seem more like a bother, especially when you’re someone who is already mindful of living your life guided by faith. Through our devotion to St. Jude, we know he is always ready to receive our prayers for help and our requests for intercession. As the Patron Saint of Hope, he can be the additional strength and support we need to continue to grow in how we live the Gospel. We have our deep love and commitment to Christ in our hearts and our daily decisions. Part of living our faith is to reflect that love to the outside world, too. It is a way we are able to bring the Word of God to others . . . we share aspects of the Gospel by our example. Our actions as a reflection of God’s love can be very small and still be extremely meaningful. We can impact many people’s day simply by treating everyone we interact with as people of dignity. In gratitude for everything St. Jude felt Jesus had given him by inviting him to be one of His Apostles, he committed the rest of his life to sharing the Word of God with people anywhere he could travel. It certainly isn’t practical for most of us to try to follow St. Jude’s particular path, but his passion for Jesus and the Gospel does remind us he is especially aware of the grace we may need to venture a bit out of our comfort zone as we work to grow in our Catholic life. Ask St. Jude to open our hearts to Lent’s riches for our souls. And through his intercession, ask him to also place your prayers of gratitude before God.